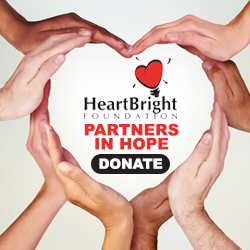 The HeartBright Foundation is a 501(c)3 charity headquartered in Charlotte, NC. Our main focus is providing education for the community in healthy lifestyles and to fund preventive cardiology programs in economically disadvantaged communities. Alerting the public about risk factors of heart disease; Measure individual risk assessments via current testing technologies; Initial and ongoing education to assist individuals with their new heart healthy goals; Support individuals via resources, motivational programs and management tools.